Course Website: Official Website - Visit The Links at Brunello's official website by clicking on the link provided. 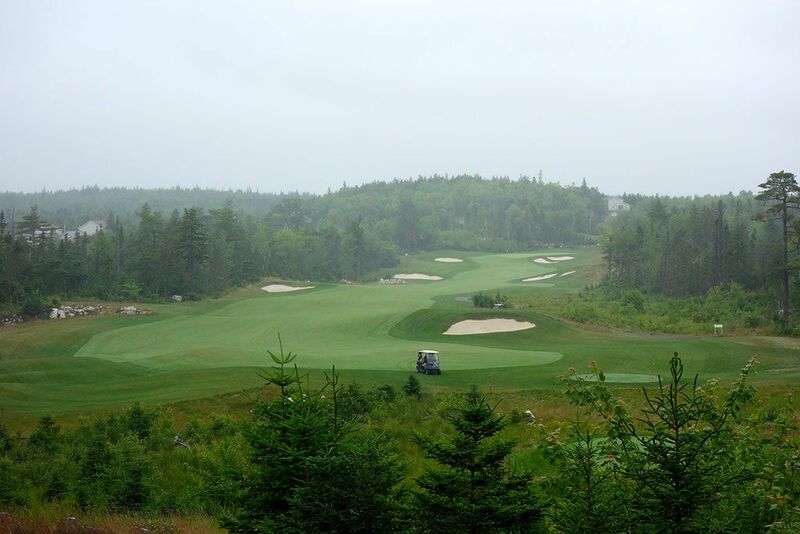 Accolades: Ranked 4th in Nova Scotia on Golf Course Gurus' Best in State list. 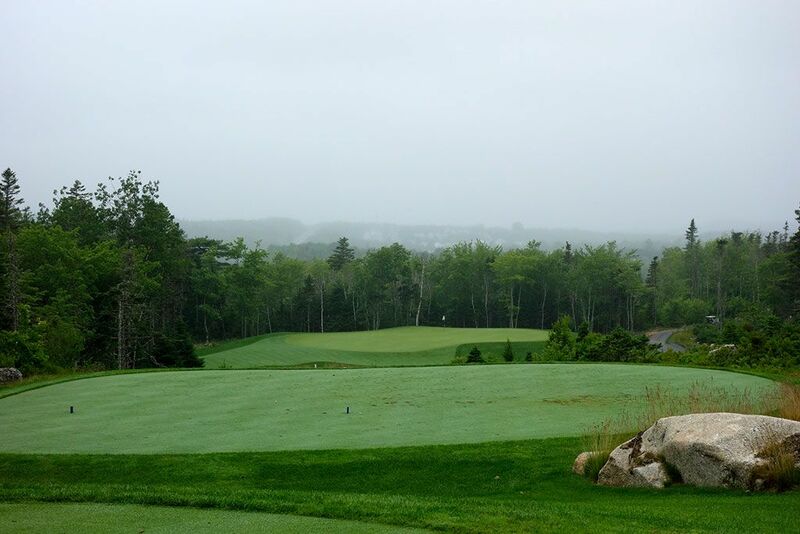 What to Expect: The Links at Brunello is Halifax's newest course and was designed by Canadian legend Thomas McBroom. The course is part of a residential community that will continue to see buildings frame the holes and remove the secluded feeling the course now enjoys. 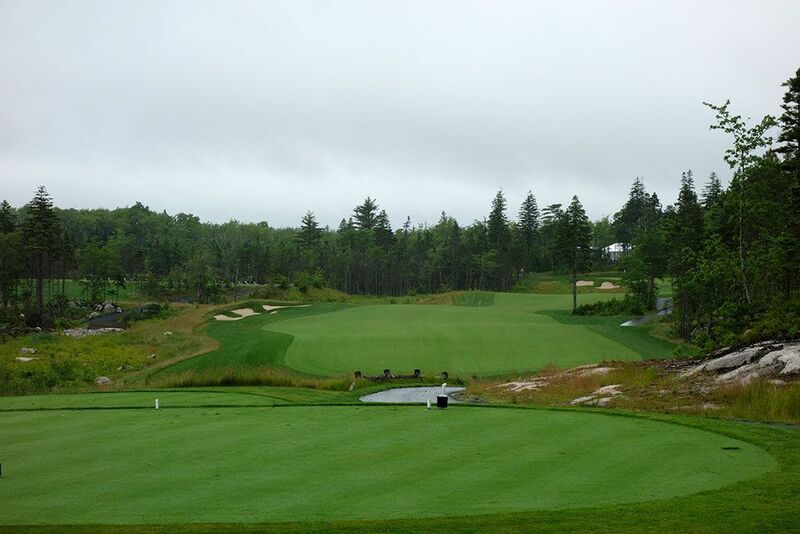 There is a strong visual appeal to the course with the light green colored bentgrass tees, fairways, and greens delivering a nice contrast to the dark green bluegrass rough, white sand bunkers, and earth toned stones. Several dramatic holes exist on the course though the numerous uphill approaches and penal nature of some features combining to deliver a much more difficult test than the 74.4 rating suggests. Shots that leave the fairway will likely result in a lost ball due to the thick foliage and challenging terrain that frame the holes. 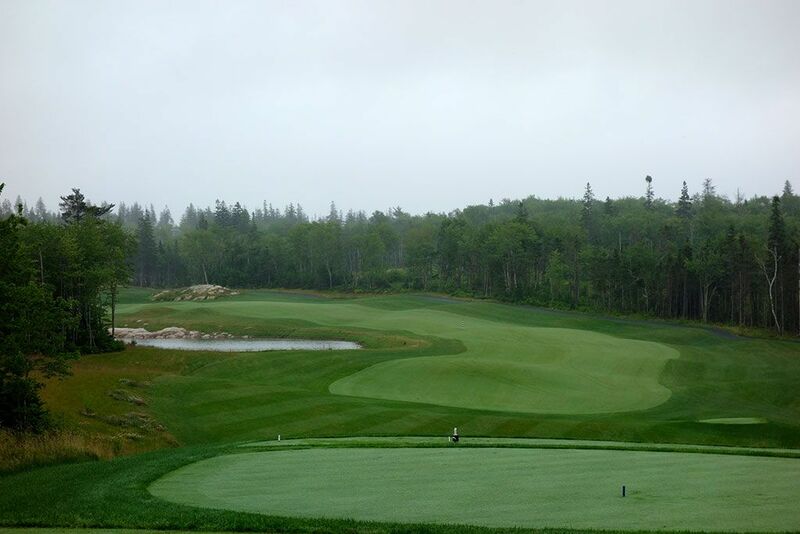 The conditioning is solid as proven by how well the course drained despite the extensive amount of rain that had fallen on the course before and during our visit. The name Links is a misnomer considering the course doesn't look, feel, or play like a links course at all but is likely being used for the marketing angle of the term. There aren't a lot of bunkers on the course which isn't terribly common for a newer course but is also a welcome feature considering the number of other challenges facing players at Brunello. Lastly, you won't find many players electing to walk the course considering the significant elevation changes and some of the distances between holes. Signature Hole: 10th Hole – 156 Yard Par 3 – The most photographed hole on the property sits next to the clubhouse and plays uphill over a series of rocks to a spacious green. The mature trees in the background provide complementary visuals and the short length should breed confidence in players. This hole embodies a lot of what is featured at Brunello; an uphill approach, surrounding trees, and exposed stone. 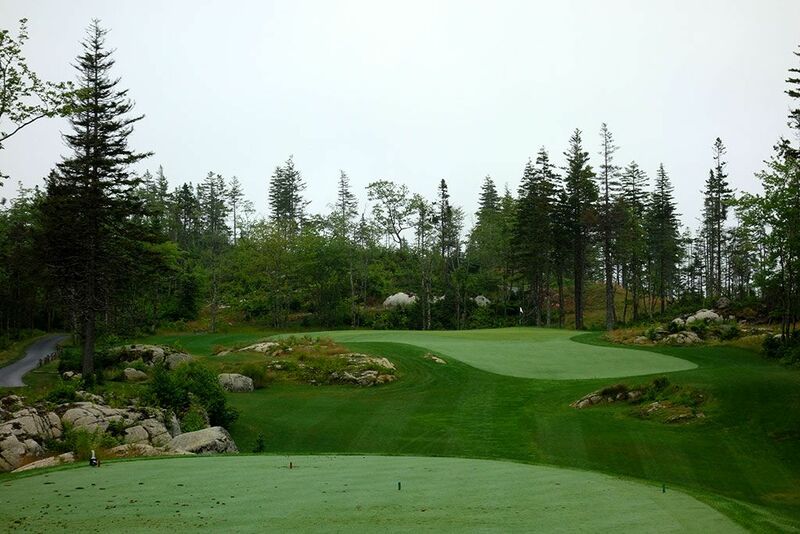 Best Par 3: 2nd Hole – 186 Yards – The downhill 2nd hole is a welcome change of pace compared to the uphill holes and should allow players to swing freely with a full view of the putting surface. A forced carry over the natural terrain is required to reach the green that features a tier partway back and helps create some interesting pin positions. This is a hole that you should be able to score well on. Best Par 4: 18th Hole – 421 Yards – Brunello's closing hole plays downhill to a green that angles away from the player front right to back left. Water comes into play on the left side and is disguised in the thick fescue found on that side of the fairway. While many of the two-shotters at the course are on the long or short side, this is one of two mid length par fours that are a treat to play. Best Par 5: 3rd Hole – 606 Yards – The longest hole at Brunello is this 600 yard beast that is actually a ton of fun to play. The tee shot plays well downhill to a generous landing zone with a bit more forgiveness to the left than to the right. The fairway dives back downhill again on the second shot which sets up an uphill approach shot and a chance at birdie. The contrasting colors and features on this course add to the enjoyment. Birdie Time: 8th Hole – 368 Yard Par 4 – This downhill hole is attractive and fun wrapped up into one. Players feeling bold can hit their driver down towards the green though the fairway narrows and begins sloping a bit beyond the 150 yard pole. With plenty of options off the tee of how to play it and a relatively short approach shot left afterwards, this is a hole that should be taken advantage of on a course that doesn't deliver many scoring opportunities. Bogey Beware: 4th Hole – 469 Yard Par 4 – The hole that people love to hate at Brunello is this stout par four that is both lengthy and filled with trouble. A pond protects the left side of the fairway and the raised green is additionally protected by bunkering which makes finding this green in regulation a real beast. Nothing less than a big drive and an excellent approach shot will cut it here so try to minimize the damage and make sure five is the worst score you walk away with.